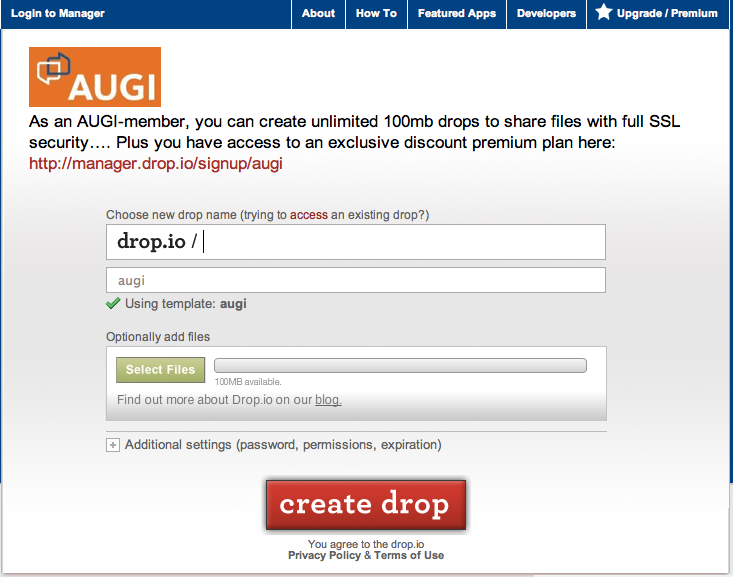 I found an invitation to AUGI Drops service from AUGI in my email this morning. You can see more information in the AUGI press release. For me, it was a final confirmation that race for online data has begun. • Each drop has a phone number and extension. Call the drop, talk all you want – it is converted to an MP3 and left right in the drop on the fly. Listen to it on the drop, or send it out via email, RSS, MMS, or basically anything else you want. • Every drop has its own free conference call number automatically assigned to it. The drop’s conference call number stays the same, so consider it for long term use as your drop is active. It made me think about the future of cloud data for CAD and PLM again. At the same way in the early time of Web 2.0, web sites tried to get users subscribed for their services (btw which is still true), the “new cloud” is interested to get customer data. In this case this is design, engineering and other related data. I had chance to write about cloud and CAD files before – Where is the PLM shortcut to the cloud?. So, this is a confirmed start to develop “future Peter Norton’s Application” to store CAD files. What is my conclusion today? Does it mean we are going to replace “Save As File” command to “Save To Cloud” button? This might be a first try. Vendors will be trying to understand how many users will be interested to give up on their local storage and move to the virtual storage. Since “security” considered as one of the main concern points of cloud solution, development of free cloud data services will be a right indicator if companies and individuals are ready for that.